ANURAG MALLICK & PRIYA GANAPATHY savour a platter of experiences – from Portuguese forts and dolphin cruises, ancient petroglyphs and secret wadis – served with trademark Omani hospitality. 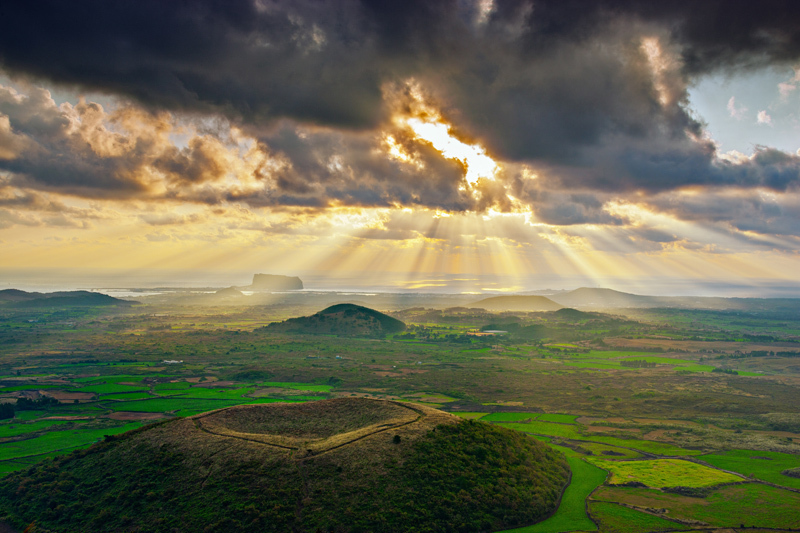 Oman is a country that will astonish you with its riches. The Queen of Sheba’s palace near Salalah was the epicentre of the 6000-year-old frankincense trade and it is likely that the frankincense carried by one of the Three Magi during the birth of Jesus originated here. Sinbad the Sailor is not merely a legend, but a man of flesh and blood who was born in the ancient Omani capital of Sohar. In the 8th century, Cheraman Perumal, the Chera king of Kerala, adopted Islam (purportedly the first Indian to do so), divided his kingdom among various feudatories and sailed to Mecca; he died while returning and his tomb lies in the Omani port of Zafar. In a country where the tallest structure in any town is not a shiny skyscraper but usually the local mosque, the understated Omani hospitality is disarming. Straddling the crossroads of three continents and four seas, Oman’s rich history was shaped by the waters that lap against its rugged shores. Hemmed by the Sea of Oman and the Arabian Sea and guarded by the Al Hajar mountains and the Rub’ al Khali desert (literally ‘Empty Quarter’), it strategically overlooks the Strait of Hormuz at the mouth of the Persian Gulf. The Persians and Ottomans vied for control over the lucrative maritime trade of the Indian Ocean. Yet, the country’s geography was its security and even the powerful Portuguese could only occupy a few coastal areas. 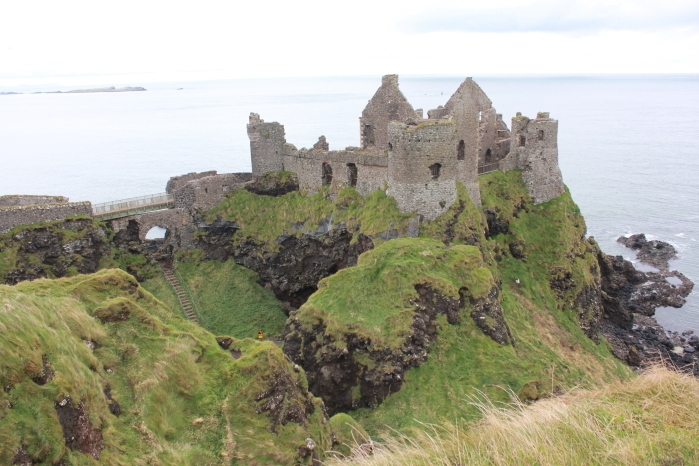 Expelled in 1650 AD, they left behind a slew of seaside forts. Today, Muscat’s twin forts Al Jalali and Al Mirani, besides the Muttrah souq stand proof of the short-lived Portuguese presence in the Gulf. But Oman has a lot more to offer than Muscat. We flew to Khasab, an hour’s flight from the capital in the northern-most governorate of Musandam. One look at the Prussian blue fjords surrounded by mauve mountains from our Oman Air flight and we knew why it was called the ‘Norway of Arabia’. 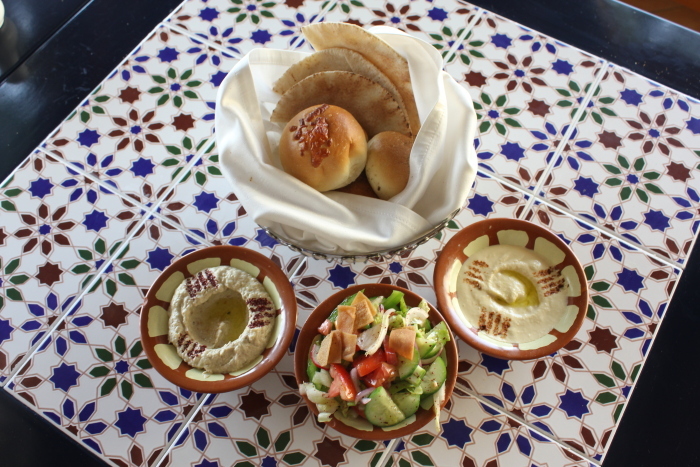 Checking into the luxurious Atana Khasab Hotel, we enjoyed a lovely Arabian spread of fried hamour (fish), Zatar bread, hummus, falafel, moutabel (seasoned eggplant with olive oil) and salads perked up with zesty sumac (lemony spice). We washed it all down with laban (salty buttermilk) and date milk, before setting off on our local explorations. Khasab Fort, built by the Portuguese on the site of an earlier fortification, has been renovated into a museum and serves as the perfect curtain raiser to the maritime nation and its well-preserved Arabian culture. Various types of traditional boats graced the courtyard as if they had magically washed ashore. Around it were specimens of a coffee-making room, arish (summer house) and granary with thematic rooms on the upper floors – a ladies’ majlis, study room, wedding chamber, an apothecary of traditional medicine and a dazzling showcase of costumes, jewellery and ornate khanjars (Omani daggers). We drove along the scenic Coastal Road from Khasab to the fort of Bukha, set against a stunning backdrop of jagged cliffs. Oman’s 1600km long coastline brims with adventures – from kite surfing and sportfishing to diving at The Aquarium at Damaniyat Islands, whale watching at Mirbat, bird spotting at the wetlands of Masirah Island and turtle hatching at Ras al Jinz. Back in Khasab, a traditional Omani dhow waited for us with friendly staff at our service with fruits and cool drinks as we lounged on plush carpets. 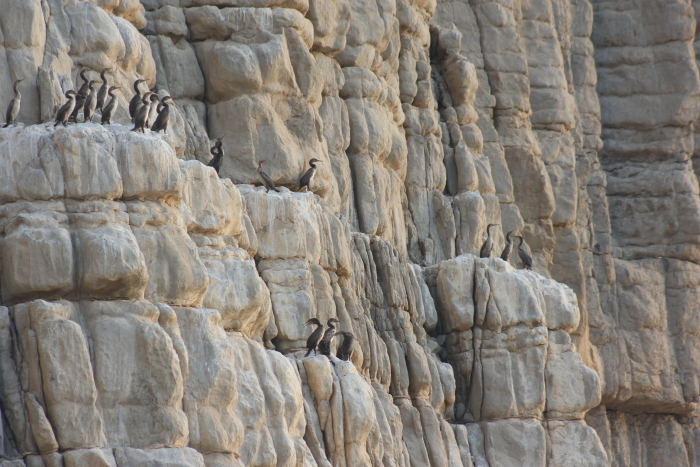 The crags were studded with large flocks of nesting cormorants feeding their young while others dived and emerged to dry their wings on the rocky perches. 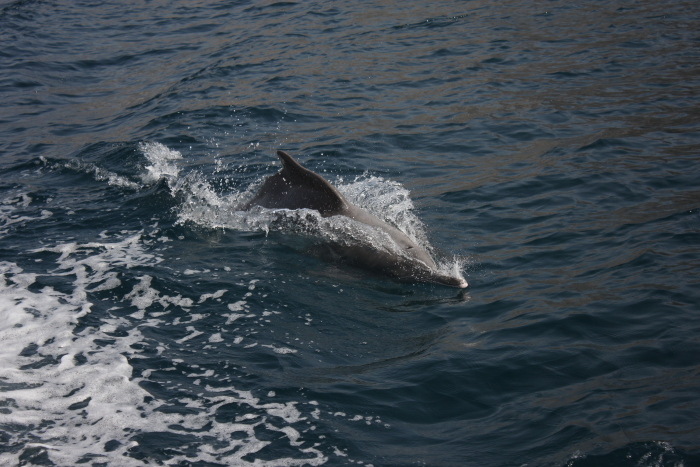 Dolphins cleaved through clear blue waters, outpacing our dhow with graceful leaps. We soon docked near Telegraph Island, named after the undersea telegraph system set up by the British in 1854 to send messages from Karachi to London along the Persian Gulf submarine cable. 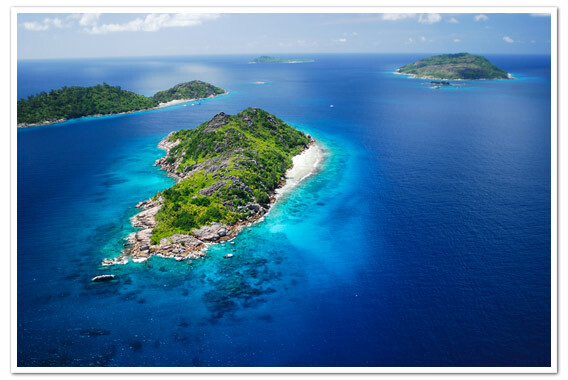 Today, its rich marine life and stunning tropical fish was a magnet for snorkelers and divers seeking hammerheads, leopard whale sharks, mink whales, mantas, eagle rays and turtles. Donning our masks and fins, we plunged into the clear waters for a sublime experience. Oman is also home to the loftiest peak in the Arabian Peninsula – Jebel Shams, often compared to the Grand Canyon for its rugged untamed beauty. But we were headed on a winding offroad drive to the 2,087 m high Jebel Harim, or the ‘Mountain of Women’. According to legend, local women often flocked to this lofty hill to escape pirates when their husbands were away fishing, hence its name. En route we stopped at a lookout over the stunning fjord Khor Najd, besides Bedouin cave dwellings that were inhabited till the 1940s. At Qida, intriguing petroglyphs (stone carvings) of human, animal and abstract figures indicated the presence of early man. 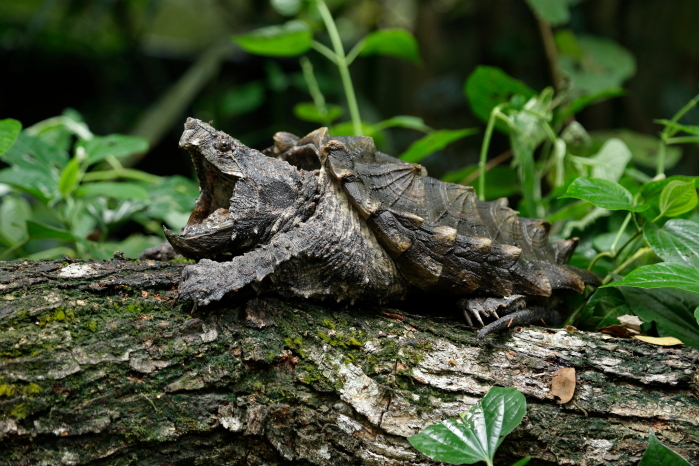 Yet, nothing prepared us for the sight of marine fossils high up in the mountain, imprinted on rocks when the Arabian and Eurasian tectonic plates of a restless earth collided around 90 million years ago! We flew back to glitzy Muscat, which seemed a world apart from remote Musandam. The imprint of Sultan Qaboos was everywhere with roads, grand mosques and portraits paying tribute to the dynamic sultan who had literally pulled the sultanate from the dark ages, transforming it into a modern state. After luxuriating at the opulent Shangri-La Hotel, we drove to A’Sharqiyah or Wahiba Sands for some glamping at Desert Nights Camp. Our plush tent with stunning rugs and carpets was indeed fit for a sultan. It was a short offroad drive to catch the sunset over the dunes, which changed colour with every passing moment. The 12,500 sq km desert tract stretched 180 km by 80 km in the Ash Sharqiyah province (literally, Eastern Region) and was earlier called Ramlat al-Wahiba, named after the predominant al-Wahiba tribe inhabiting the region. Choosing to trudge down the sandy slopes to the camp, we were greeted by the sweet strains of the oud (traditional stringed instrument) and darbouka (goblet drum) while the smoky aroma of barbecues wafted as we dined under a starlit sky. It was a lavish Arabian spread of shuwa (meats), rice, Zatar bread, labneh, date milk and camel milk. In the morning, we enjoyed a complimentary camel ride around the resort and tried quad biking and sandboarding, before our guide Mohammad from Khimji Travels took us dune bashing. It was a quick pitstop at Al Wasil to fill air into the tyres, which had been deflated to reduce the air pressure for the desert. Our next destination was Wadi Bani Khalid, the best-known wadi (freshwater pool) in the region, part of the eastern chain of the Al Hajar mountains that soared up to 2000 m. Till the 1970s there was no road access and people could get here only on donkeys or on foot. We trudged along the falaj or irrigation canal lined by date palms to the oasis. Serving coffee with a platter of dates is the hallmark of Omani hospitality. In the old days, the birth of a son was marked by planting a date palm! Enterprising kids deftly maneuvered wheelbarrows to ferry visitors’ luggage on the narrow cemented walkway that lined the irrigation channels. On reaching an amphitheatre of sandstone ridges and burnished mountains shimmering with copper deposits, we spotted locals enjoying themselves at aquamarine pools. With depths ranging up to 10 meters, the pools were safe for swimming. The scent of char-grilled meats emanated from barbecues in shaded groves of palm trees; someone else burned frankincense in a majmar (charcoal brazier). It was the heady aroma of Oman. One of the safest countries in the Middle East to immerse yourself in authentic Arabian culture, Oman is the perfect blend of tradition and modernity. Its long coastline, soaring dunes and rugged mountains bejeweled with idyllic wadis (fresh water pools) are filled with many adventures. Oman is pleasant from October to April barring the scorching summer months from June to August, except Salalah in the south which is washed by the khareef (rainy) season. The annual nesting of green turtles at Ras al Jinz is between July to October. Oman’s souks brim with stalls selling frankincense, attars, oils, ornamental khanjars (daggers), antiques, besides Turkish plates and lamps. Pick up a bottle of the best perfume Amouage or choose from hundreds of varieties of dates – Khasab, Farah or Khalas (the most premium variety), besides the glutinous Omani halwa. The medwak or Arabian smoking pipe made of wood, bone, metal, marble, gold, silver or glass is a great souvenir. 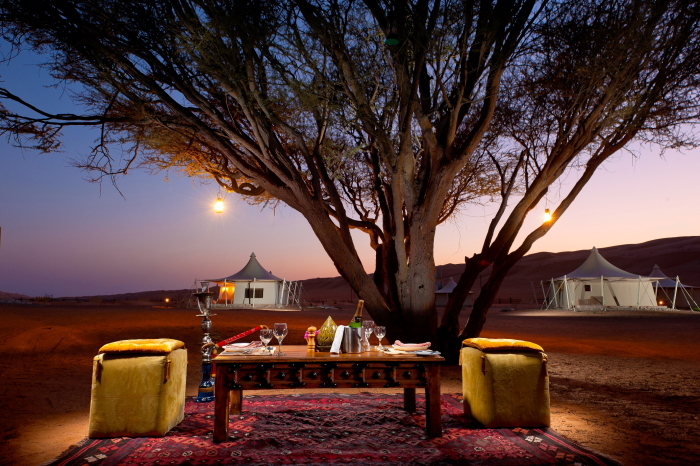 The only luxury desert camp in Oman set in 10-acres with 39 uber-luxury Bedouin style tents and adventure activities in the desert. Set amidst golden dunes and Cineraria trees, stay in a choice of luxury tents fitted with reflective glass in the east and west for the perfect view of sunrise and sunset. Women and bedouins are sensitive to being photographed (some believe it captures their soul), so always ask before clicking. Authors: Anurag Mallick & Priya Ganapathy. This article appeared in the October 2018 issue Travel + Leisure India magazine. A giant majmar (frankincense burner), Oman’s cultural icon, stood on a rugged hillside near Muttrah Corniche. As the evening wind gently swept across Muscat harbour, the waterfront promenade slowly stirred into a swirl of activity. Men dangled fishing lines in the clear blue waters for a catch. Women in flowing abayas (robes) accompanied by men in spotless dishdashas (cloaks) ambled past a slew of Gujarati mansions. 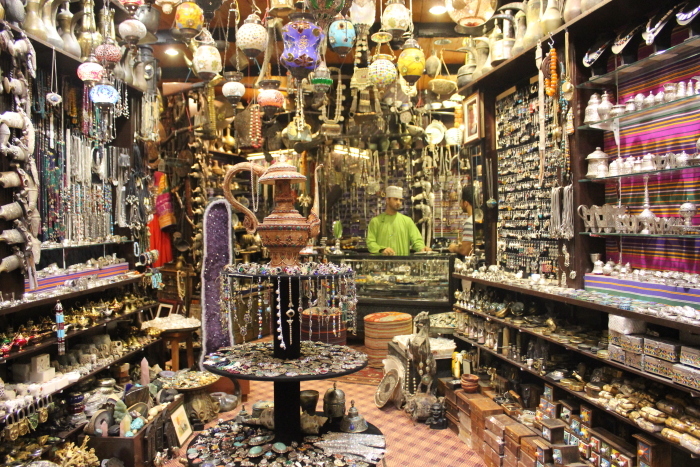 Others trawled souqs brimming with dates and Omani halwa, silver trinkets, Turkish plates, Moroccan lamps and traditional souvenirs like khanjars (ornamental dagger). Wherever we went, shopkeepers with kohl-rimmed eyes graciously offered us cups of kahwah or platters of dates. 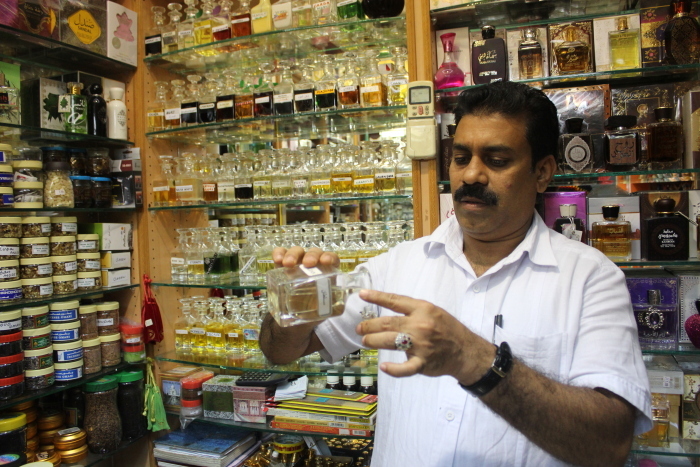 At perfume stalls lined with vials of amber fluid, Malayali men with thick moustaches and thicker accents lured prospective customers with daubs of Amouage Gold and Water of Salalah. Vendors hailing from Bangladesh and Pakistan offered to tie a keffiyeh (checked scarf) over a kumma (embroidered Omani cap) into a neat turban. Though immigrants make up a third of Oman’s 3.6 million population, the country has managed to preserve much of its Omani identity. Its people are gracious, proud yet humble, with none of the Emirati ostentation. The houses are hued in muted, earthy tones and you will find no skyscrapers in Oman. Often the highest structure in town is the local mosque. For centuries, frankincense, dates and perfumes from Oman were traded for food grains, teak and spices from India. The country also enjoyed cross-cultural ties stretching from Persia, Yemen and Zanzibar to China, besides ancient Rome and Greece. Set at the crossroads of three continents and four seas, Oman’s rich history was shaped by the waters that wash its shores. Hemmed by the Sea of Oman and the Arabian Sea and protected by the jagged Al Hajar mountains and the Rub’ al Khali (a vast desert literally meaning ‘Empty Quarter’), its strategic location was insurance against foreign invasions. As a result, Oman remains one of the few tourist destinations in the Middle East with its Arabian culture largely intact. Drawn by Oman’s maritime links and its strategic location at the Strait of Hormuz at the mouth of the Persian Gulf, the Portuguese battled the Persians and Ottomans for control of the lucrative Indian Ocean trade. After a brief occupation of the coastal areas, the Portuguese were finally expelled in 1650 leaving behind a series of seaside forts. Today, Muscat’s troika of forts – Muttrah, Jalali and Mirani, besides the Muttrah souq – stand proof of the erstwhile Portuguese presence in the Gulf. 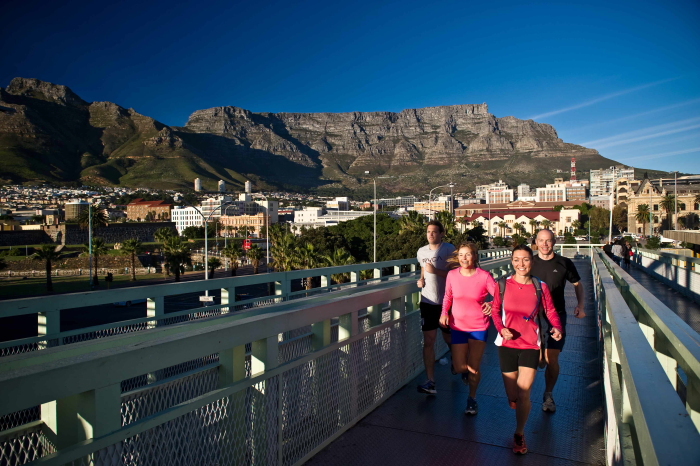 At one time, ships unloaded their cargo on the wharf, which eventually developed into an open-air market. The Portuguese reclaimed land from the sea, added structures of mud and palm and transformed it into a makeshift souq. Over the years, the market evolved into a labyrinthine maze of shops. The stretch from the Al-Lawatiya Mosque to Khour Bimba is so tightly packed with stalls that even sunlight does not pass through during the day. 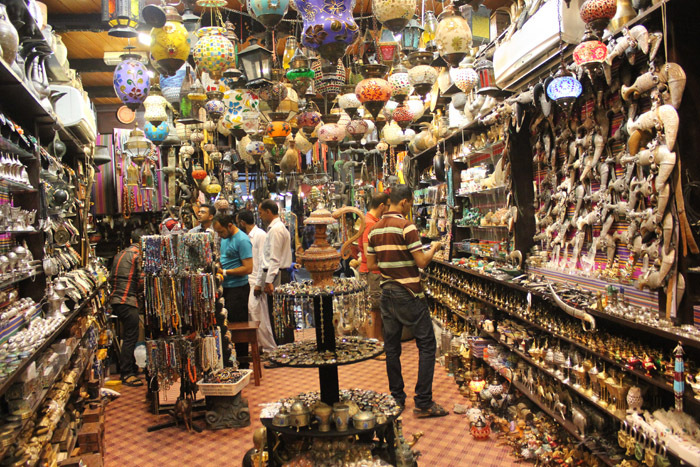 Locals call it Al Dhalam or the ‘Market of Darkness’ as shoppers in the past often carried lamps to wander in its alleys! Oman literally stepped out of the Dark Ages after the present Sultan Qaboos bin Said Al Said brought a wave of modernization in the 1970s. Oman’s main link to the world was by sea and recognizing its naval legacy, Muscat Port or Port Sultan Qaboos was developed into Oman’s premier maritime gateway and the main commercial port. The royal luxury yacht Al Said was moored at sea and it was hard not to catch the Sultan’s imprint everywhere. The road wove through rugged mountains as we reached the town of Old Muscat. Watchtowers on lofty crags stood testimony to a time when they served as defense and signal outposts. Beyond a complex of government buildings amid wide boulevards was Qasr Al Alam or the Flag Palace, one of the six royal abodes of the Sultan across the country. Barred to visitors, we made do with a peek through the grilled fence at the blue and gold building constructed in contemporary Islamic style. 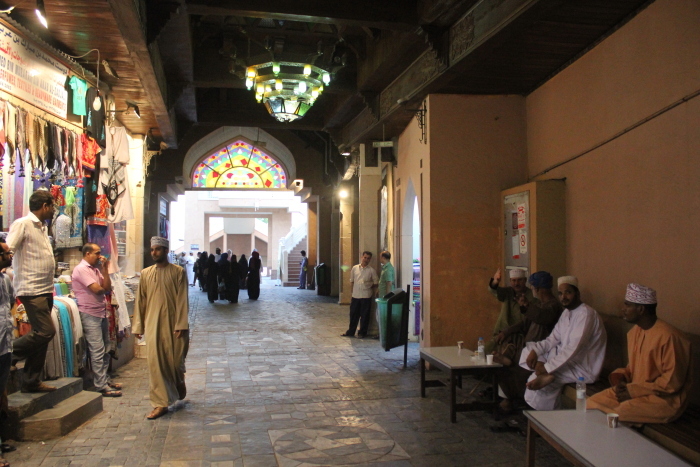 Nearby, the Omani French Museum and Bait Al Zubair were great repositories of Omani heritage. The Zubair family served as ministers and advisers to the sultans and their residence was converted into a private museum in 1998. The very next year, the museum received His Majesty Sultan Qaboos’ Award for Architectural Excellence, the first time it was awarded in Oman. Brightly coloured Warholesque Arabian Oryx lined the cobbled path leading to the museum entrance, where portraits of various sultans of the reigning Al Busaidi dynasty were displayed on the ground floor. The museum ranks among the best private collections of Omani artefacts – khanjars, swords, firearms, jewellery, attire, coins, stamps and household articles. In the garden were replicas of a barasti (palm frond hut), falaj (ancient water distribution system), a souq, Bedouin stone houses and various types of boats denoting Oman’s nautical tradition. 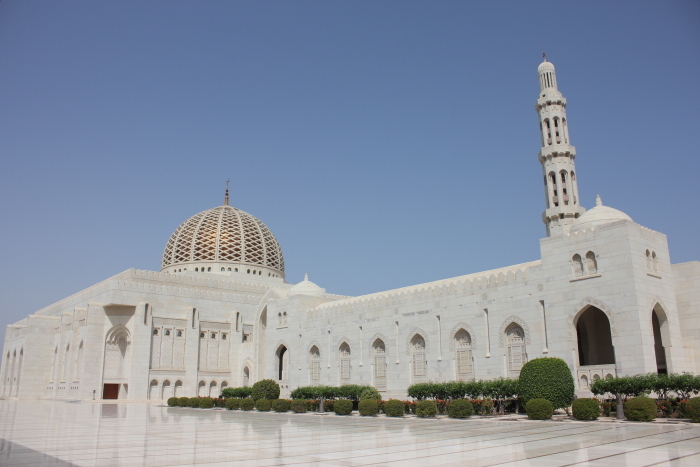 Equally impressive was the Sultan Qaboos Grand Mosque, towering above the Muscat skyline. Four flanking minarets of 45.5 m marked the cardinal directions around a 90 m high minaret and a spectacular dome. This was the only mosque open to non-Muslims and women had to cover their hair with scarves and dress conservatively. The cynosure of the main prayer hall was the stunning German-made chandelier, which hangs above the second largest single piece carpet in the world. Spread over 4,343 sq m, the Persian carpet had 1.7 billion knots, weighed 21 tonnes and took four years to weave. The Sultan’s love for art and music and the need for a world class venue resulted in the Royal Opera House Muscat, Oman’s premiere performing space. After Cairo, it is only the second opera house in the Middle East. In its brief career since 2011, it has showcased traditional Omani arts, ballets, musicals, military brass bands, flamenco and artists as diverse as Wynton Marsalis, Placido Domingo, Al Jarreau, London Philharmonic Orchestra, L Subramaniam, Yo Yo Ma and Yossou N’Dour! But we were in store for more luxury. Driving past sandstone cliffs, stunning seaside views of the harbor and the Omani Dive Centre, we reached Shangri-La Barr al Jissah Resort, a complex of not one, but three plush hotels – Al Waha, Al Bandar and Al Husn. Our balcony overlooked the majestic cliffs, a large swimming pool and the tranquil Sea of Oman. While the beach was close at hand, it was more fun floating in the currents of the Lazy River, a waterslide encircling the hotel. Oman has a 1600km long coastline, perfect for swimming, kitesurfing, diving and sportfishing. The coastal highway from Muscat whizzes southward past old towns like Qalhat to the ancient dhow-making town of Sur and Ras al Jinz where the annual nesting of green turtles takes place between July to October. The unexpected pleasure of swimming in the turquoise waters of wadis (freshwater streams) left us rejuvenated while dune bashing, sandboarding and quad biking at A’Sharqiyah Sands (formerly Wahiba Sands), added a rush of adrenaline. Under a starlit sky we savoured the lilting notes of the oud (traditional stringed instrument) and the Bedouin charms of Desert Nights Camp, the ultimate glamping (glamour-camping) experience. Jabal Shams, Oman’s highest peak and the tallest in the Arabian Peninsula, often compared to the Grand Canyon, was 240km west of Muscat, so we flew north to Khasab in the northern governorate of Mussandam. A dusty 4-wheel drive took us to Jebel Harim, the Mountain of Women where we discovered fossil rocks! A dhow cruise along the scenic fjords of Mussandam revealed playful dolphins and some of the best snorkeling sites in the region. Who would’ve imagined, there was so much to see and do in Oman? With an untouched coastline, white sandy beaches, towering mountains, stunning desert and rich culture, Oman is fast emerging as an exotic locale for destination weddings. From private ceremonies by the Omani shores to a picturesque backdrop of mountains, the desolate beauty of sand dunes or an intimate wedding aboard a luxury yacht, one is spoilt for choice in terms of outdoor venues. Besides Barr Al Jissah Resort & Spa, nearby luxury hotels like The Chedi and Ritz-Carlton’s Al Bustan Palace transform into ideal venues for nuptial vows with a wide choice of dining locations and stunning ballrooms bedecked with crystal chandeliers. Oman’s proximity to India and its unique blend of medieval charm and world class hotels and infrastructure are added advantages. Jet Airways and the national carrier Oman Air fly direct to Muscat International Airport, Seeb from Mumbai (2h 50m), besides Delhi, Bengaluru, Kochi and Trivandrum (3h 30m). 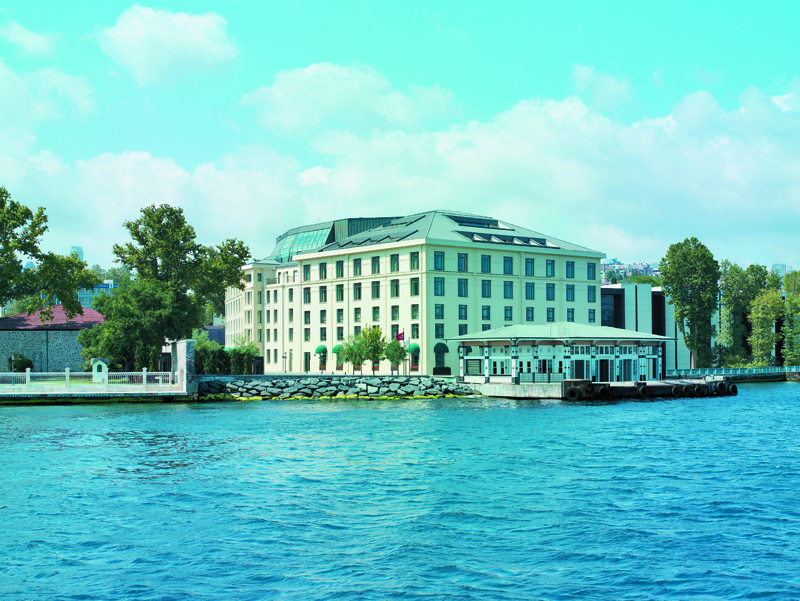 The city has several 5-star hotels that double up as ideal locations for a dream wedding. Authors: Anurag Mallick & Priya Ganapathy. This article appeared in the May 2016 issue of JetWings magazine. A gentle wind rippled through the desert, displacing its fine grains of sand. Like an artful shape-shifter, the landscape was always changing. Behind us, the 12,500 sq km expanse of the Sharqiya Sands stretched till infinity. Measuring 180 km from north to south and 80 km east to west, this desolate tract in Oman’s Ash Sharqiyah province (literally, Eastern region), was also called Ramlat al-Wahiba, named after the predominant al-Wahiba tribe who populated the region. The area has been home to several tribes like the al-Amr, al-Bu-Isa, Hikman, Hishm, Janaba and larger clans like the Bani Khalid, who claim descent from Khaled ibn Al-Waleed, a companion of the prophet Mohammad. Each year, between June and September the Bedouins congregate at Al Huyawah, an oasis near the desert border, to gather dates. For centuries the geographical isolation ensured that their lives remained out of bounds to visitors, until an expedition by the Royal Geographical Society in 1986 drew the world’s attention to this remote yet, stunningly beautiful land. As the sun sank over the crest of the hill, it bathed the dunes in a golden hue. Our guide Mohammad bin Dawood bin Khamees al Zidjali from Khimji Travels remarked, ‘You get seven coloured sands in Ash Sharqiyah – golden, yellow, red, pink, brown…’ as we saw the changing hues at sunset. Reluctantly, the tourists scattered across the dunes got down from their perch and drove down the sandy tracts back to their camps. We decided to slip and slide down the dunes to our base Desert Nights Camp, whose lights twinkled against the seeping darkness as if stars had fallen from the sky. In this vast wilderness, the luxurious tents seemed like a mirage. This was glamping (glamour camping) at its best and easily, the place to stay at Sharqiya Sands. We drew towards the strains of the oud and darbouka (goblet drum) that emanated from the open-to-sky camp. The soulful tune of the stringed oud held a tragic story. According to a Biblical reference, Adam’s sixth grandson Lamech invented the oud. The legend tells that a grieving Lamech hung the body of his dead son from a tree and the shape of his son’s bleached skeleton inspired the creation of the instrument! The bedouins played well into the night as we helped ourselves to a lavish Arabic platter of barbeques, rice, shuwa (meats), Zatar bread seasoned with sumac (tangy spice) and washed it down with a choice of drinks – labneh (salty buttermilk), date milk and camel milk. The next morning we enjoyed a complimentary camel ride within the campus and exhilarating 4X4 Dune Bashing and Quad Bike adventures. The expert drivers displayed amazing control as the tyres churned out sand waves and swooped us down the slopes. Negotiating the dunes is tricky business and even four-wheel drive vehicles get stuck in soft sand. Weather, wind, location and skill of the driver become paramount in this sport. 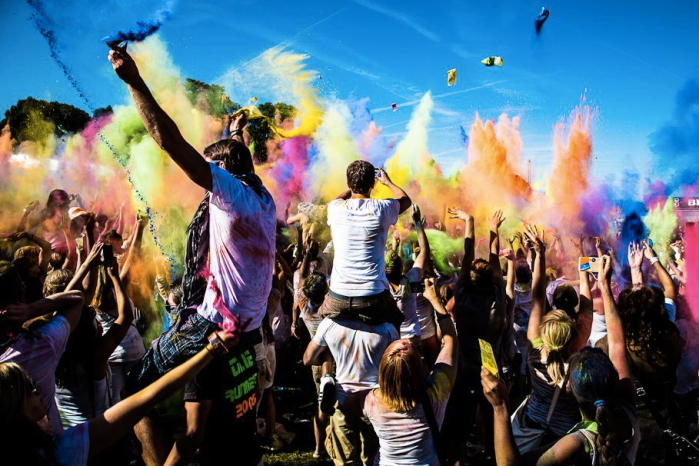 Serious adventurists can go sand boarding, trekking on dunes or camel safaris at sunset. We barely had time to visit to the local souq (shopping area) for exotic souvenirs or try the unique Ladies Souq on Wednesday at Ibra (literally ‘many wells’) or the weekly souq every Tuesday at al Mintrib, which has an old fort. 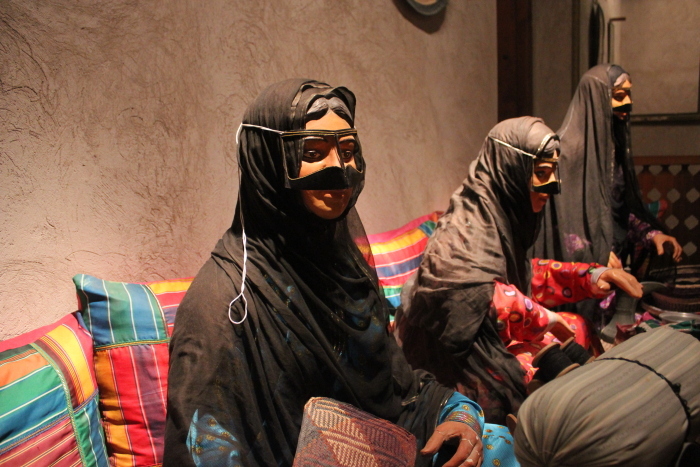 Visitors can absorb Omani culture at a Bedouin family house where they can watch them rear goat, camel, donkeys and weave carpets from the sheared wool of their sheep. 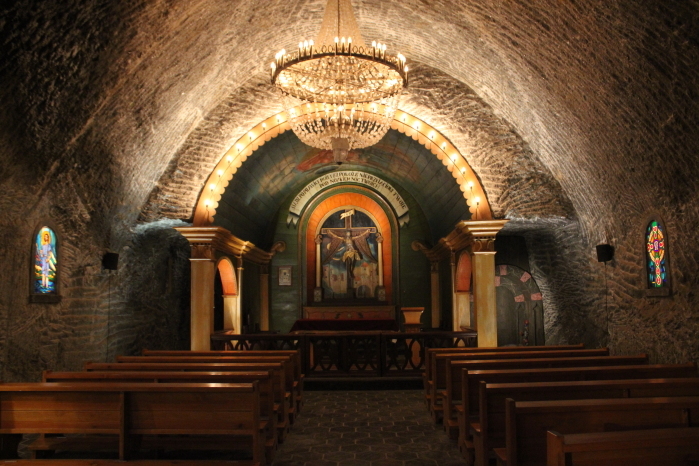 Mintrib is also an ideal base for longer forays across the desert. As our vehicle left a swirl of fine dust behind, we rushed past Al Wasil and screeched to a halt near a tyre shop. We had deflated the tyres to reduce air pressure before heading into the desert but had to fill up again to zoom across the tarmac towards Wadi Bani Khalid, the best-known wadi in the Ash Sharqiyah region. Locals flock to its aquamarine waters for a relaxing swim and barbeque picnics in an amphitheatre of sandstone ridges and burnished mountains gleaming with rich copper deposits. Wadi Bani Khalid forms part of the eastern chain of the Al Hajar mountains which soar up to 2000 m. Till the 1970s there were no roads, so people got here on donkeys or by foot. As Sultan Qaboos slowly developed the country, an offroad access was created. Today, one can get here in a small car, like the crowds who flock here on weekends. Young kids deftly maneuvered little wheelbarrows to ferry visitors’ luggage on the narrow cemented walkway that lined the irrigation channels. Natural springs with crystal clear water emerged from the mountain, which were channeled for farming through an extensive network of falaj (canals). The short walk past date palms and green vegetation contrasted against the stark landscape as we reached a series of clear green pools with depths ranging from 1 to 10 meters. Some pools are considerably safe for swimming. People bobbed ensconced in inflatable tubes while others set up picnic tables by the water edge and dangled their legs in the pool. The tantalizing aroma of smoked meat emanated from the shaded groves of palm trees where families clustered around barbecues. Thankfully, a small restaurant overlooking the largest pool served grilled meat and biryanis for hungry visitors like us. After a bite, we hiked to the entrance of Muqal Cave, a 20 min walk over the rocky landscape. The cave narrowed steadily and one had to enter it crawling like a baby, swim a bit, and take a short walk before finally entering a large cavern. Time and a torch are all that you need here. There are many wadis in the region, like Wadi Shab and Wadi Tiwi on the Sur-Muscat coastal route. Between January and March, Europeans come here in droves for treks and the 14 hr hike from Wadi Bani Khalid to Wadi Tiwi is a popular route. As if on cue, we spotted road signs warning travellers about sudden changes in water levels and danger prone areas, and gulped nervously. Mohammad caught our expressions in the rearview mirror and smiled, ‘Don’t worry my friends, right now you’re in the right place at the right time!’ as we drove off to discover another gem in the Sultanate of Oman. Getting there: Jet Airways flies to Oman’s capital Muscat, from where Sharqiya Sands is 203 km by road. Take the M23 or Muscat-Sur highway towards Bidbid, Ibra and Al Wasil. Just 500 m after the village sign, turn right at the small sand coloured mosque and follow the dirt road for 11km to Sharqiya Sands. Tip: Women and bedouins are sensitive to being photographed so it’s polite and respectful to ask before clicking. Authors: Anurag Mallick & Priya Ganapathy. This article appeared in the February 2015 issue of JetWings International magazine. The heady smell of ripe dates, Omani halwa, perfumes, old leather, fish and frankincense burning from majmars (receptacles) emanated from the narrow alleys of Muttrak Souk, believed to be one of the oldest marketplaces in the Arab world. 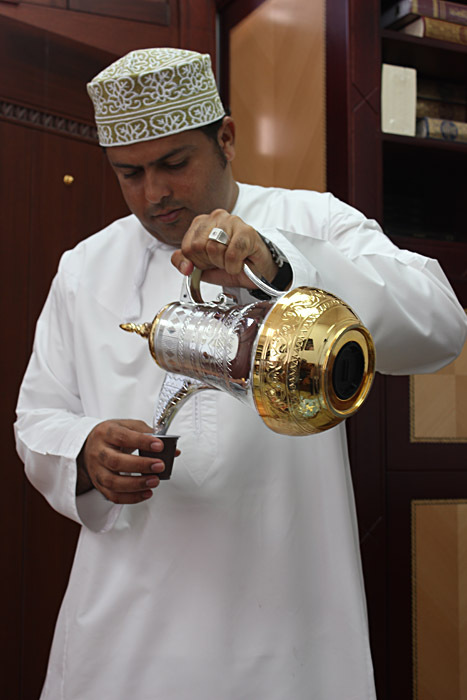 For centuries, these aromas have tantalized visitors and traders to dock at the crescent-shaped harbour of Muscat. ‘It’s Musk-ath’, intone the locals with strange guttural seriousness. We flounder and carry on, stumbling from the scent shops selling Amouage, Dunhill, Eternity, Escape and 212 (sans the branding and bottles) to boutiques spilling with khanjars (daggers) and handicrafts. Pakistani salesmen volunteered to teach us how to wear the chequered tasseled headscarf. Malayali shopkeepers daubed our wrists with perfumes and handsome Omanis wooed us with silver jewelry that overflowed from caskets and barrels. Located on the strategic trade route to India and China, Oman was trading in dates and frankincense from the Dhofar region in the south since antiquity. Ships unloaded their goods on the wharf and that developed into an open-air market. When the Portuguese arrived on these shores to bolster their trading presence in the Strait of Hormuz and counter the Persians, Ottomans and Egyptians, they reclaimed land from the sea and transformed it into a makeshift souk made from mud and palm. Protected by the Hajar mountains hugging the coast, today the only Portuguese relics are the 16C seaside forts of Muttrah, Mirani and Jalali. Dominating the Muttrah skyline is the mosaic onion dome and blue minaret of Masjid al-Rasool al-A’tham (Mosque of the Great Prophet) or Al-Lawatiya Mosque. The narrow stretch from the mosque to Khour Bimba is so tightly packed with cheek-by-jowl stalls that even sunlight does not filter through during the day! To the locals, it is Al Dhalam or the Market of Darkness. Not too long ago, shoppers needed lamps to find their destinations at a time when Oman was literally living in the dark ages! There was no electricity, locals walked 10-15km for water, transportation was mainly on camels and donkeys while in some regions around Nizwa people still lived in caves. In 1970, the present Sultan Qaboos bin Said Al Said deposed his father to usher a wave of modernization. Born in Salalah, and schooled in England and India, the Sultan brought home his amassed knowledge while keeping the rich Omani culture intact. Natural reserves were tapped, roads were built and a vast hinterland dominated by bedouins and controlled by imams was integrated into the Sultanate of Oman. Today, the Sultan’s imprint is everywhere. We walked by some Gujarati mansions down the waterfront promenade of Muttrah Corniche. The sultan’s luxury yacht Al Said, believed to be the most powerful in the world, sat still like a serf awaiting a royal decree. Perched on a hillock was a giant frankincense burner, the cultural icon of Oman. The road ascended past rugged mountains as we headed to the town of Old Muscat. Watchtowers on lofty crags once served as defense and communication; flags were used during the day while smoke/fire was used to send signals at night. 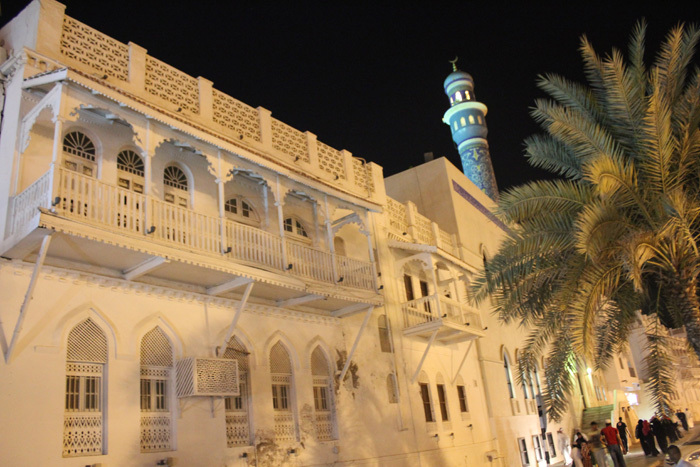 Muscat has quite a few museums – Bait al Baranda, Muscat Gate Museum and Omani French Museum, though we stopped by at Bait Al Zubair, the house of the Zubair family who served as ministers and advisers to the sultans. 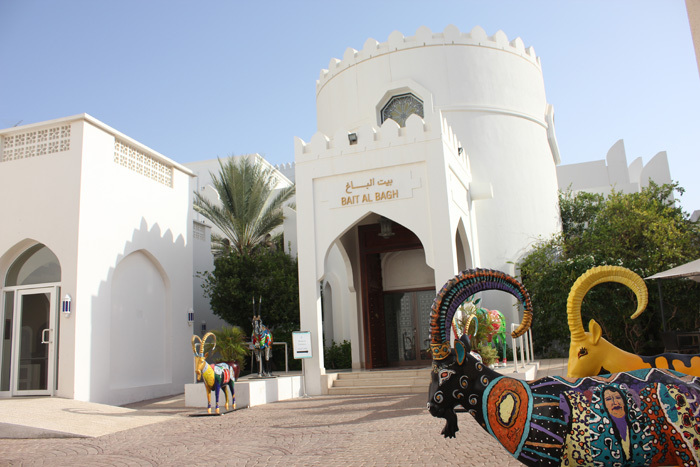 Renovated into a museum in 1998, it houses one of the finest private collections of Omani artefacts. Four galleries on the ground floor displayed portraits of various sultans of the Al Busaidi dynasty, khanjars, attire, traditional weapons, antique jewellery and household articles. In the garden stood specimens of a barasti (palm frond hut), falaj (ancient water distribution system), a souq, stone houses and boats denoting Oman’s maritime tradition. But it was the row of brightly coloured Arabian Oryx that stood outside in Warholian splendour that caught our eye. Nearby, surrounded by wide boulevards and a complex of government buildings stood Qasr Al Alam or the Flag Palace, the Sultan’s ceremonial residence. Though the palace isn’t open to the public, the iron gates at the front afforded a good view of the cuboid building with flared blue and gold columns supporting the overhanging roof. 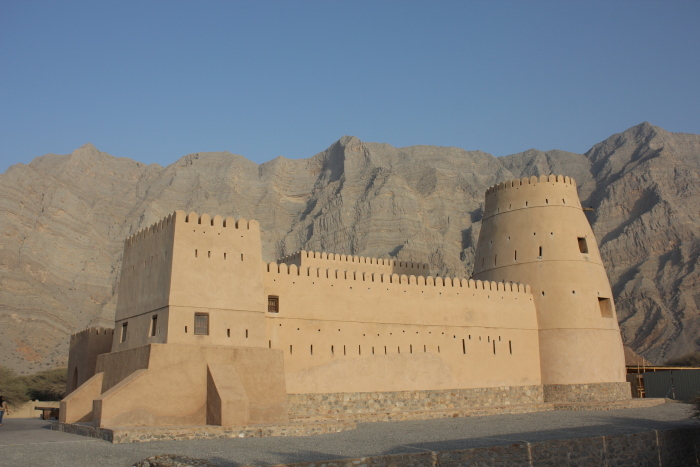 Built in contemporary Islamic style, it was one of the six royal abodes spread across Oman. Before long, we were driving towards our hotel past sandstone cliffs on one side and stunning seaside views of the harbour and the Omani Dive Centre on the other. We waited at a traffic signal outside a man-made tunnel through the mountain as if we were about to enter Ali Baba’s cave of treasures! 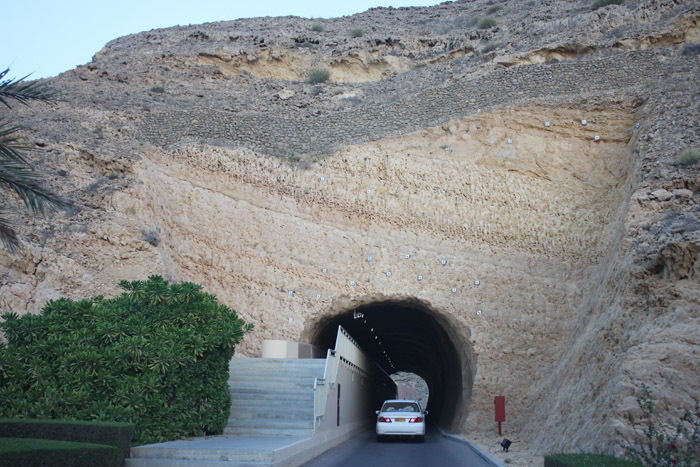 The light turned green and we were transported to the amazing realm of Shangri La Barr al Jissah Resort, a complex of not one, but three plush hotels – Al Waha, Al Bandar and Al Husn. Our balcony overlooked the rugged cliffs, a large swimming pool and the tranquil Sea of Oman. 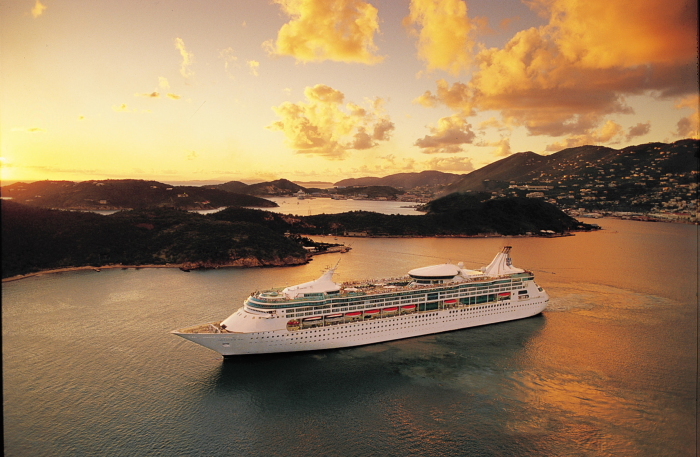 More than the sea, floating from pool to pool in the currents of the man-made Lazy River was sheer joy. Dinner was an elaborate Arabian meal at Kargeen Garden Café (literally Omani hut or wooden cottage). We chose the smoky open-air garden rather than the sit-down majlis with indoor seating. Mezze platter with salad, a mixed grill with Za’atar bread (flatbread seasoned with dried herbs), shuwa (slow cooked lamb shank) and fresh lemon mint disappeared in no time with apple-flavoured and julash (watermelon) sheeshas, ending the evening with some Moroccan tea and Turkish coffee. The next day we were off to see the second opera house in the Middle East after Cairo! Thanks to his western education, the Sultan had set up the Royal Opera House, much to the consternation of his people about this profligate enterprise. Over time, the venue has silenced its critics, serving as a showcase of traditional Omani arts as well as ballets, orchestras and military brass bands. In its brief tenure, it had hosted Wynton Marsalis, Placido Domingo, London Philharmonic Orchestra and L Subramaniam. It was heartbreaking to learn that Yossou N’Dour had just performed a day earlier! 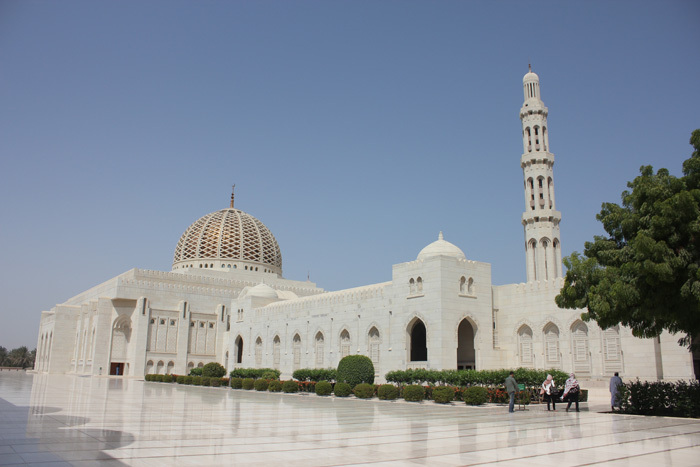 Muscat’s main attraction was the Sultan Qaboos Grand Mosque, its dome and 90 m high minaret towering above the skyline. This was the only mosque open to non-Muslims though women visitors had to cover their hair with scarves and dress conservatively. Four flanking minarets of 45.5 m marked the cardinal directions. The women’s prayer hall was simple as if the sculptor was warming up before the real thing – the main prayer hall. Ornate niches in blue and grey combos looked stunning while the jaw dropping German-made chandelier was a14 m suspension. The 70 × 60 m handwoven Persian carpet was the second largest single piece carpet in the world. Spread over 4,343 sq m, with 1.7 billion knots it weighed 21 tonnes and took four years to produce. After our grand tour, we were ushered into the office where a friendly gentleman in a spotless dishdasha offered us books on Islam, hot kahwah (Omani coffee) and a platter of dates. We sipped the bittersweet decoction flavoured with cardamom but declined the dates. ‘No, no, I insist’, he urged. ‘There are nearly 700 types of dates known to man and we in Oman have about 150-200 varieties. But this is our finest. It’s called khalaas (over), because once you start, it’s soon over!’ We saw the friendly twinkle in his eye and at the near empty plate. We grabbed our handful knowing that our date with Muscat would also be Khalass. The End. Getting there: Jet Airways flies direct to Muscat from Mumbai, Kochi and Trivandrum. Where to stay: The city has several 5-star hotels like Intercontinental Muscat, Al Bustan, Chedi and Shangri La Barr al Jissah Resorts. 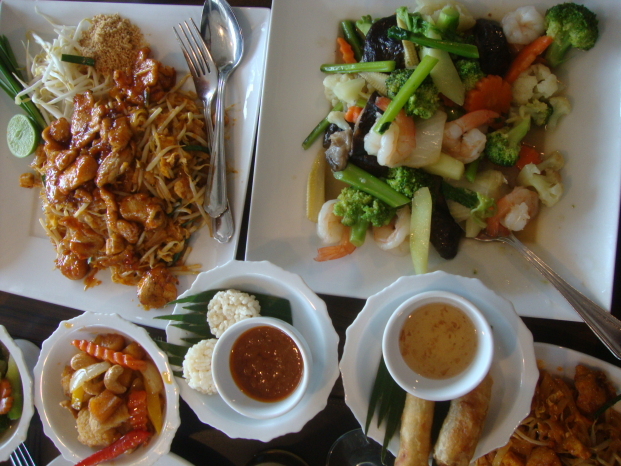 Where to Eat: Try local and Arabic fare at Kargeen Garden Café and Al Tarboosh or Indian cuisine at popular restaurants like Mumtaz Mahal and Bollywood. Authors: Anurag Mallick & Priya Ganapathy. This article appeared in the May 2014 issue of JetWings International magazine. Like Muscat, Mussandam’s seaside forts were built by the Portuguese on the site of older fortifications. At Khasab, the capital of Mussandam region, the fort has been renovated into a stunning museum. In the courtyard are specimens of a coffee-making room, kitchen, arish (summer house), granary and a grinding shed with bread oven. The upper level has theme rooms like a Ladies’ Majlis, Qur’an Study room, Wedding Chamber and Traditional Medicine, besides costume, jewellery and khanjars (Omani daggers). On one side of the central tower housing the museum, three traditional boats appear as if they had washed ashore… Or take the Coastal Road to the fort at Bukha. Bobbing like a wooden chariot on the water, the traditional Omani dhow beckons one to sprawl against its plump cushions and striking rugs to enjoy a long cruise. While friendly staff plies you with fruits, cool drinks and a buffet meal, sit back and absorb the natural splendor of the scenic fjords of Musssandam, described as the Norway of Arabia. Nothing beats the thrill of dolphins cleaving through clear blue waters alongside as they outrace your dhow with graceful leaps. Named after the undersea telegraph system set up by the British in 1854, the lonely island once housed an old repeater station that boosted telegraphic messages along the Persian Gulf submarine cable from Karachi to London. Today, snorkelers flock around the abandoned Telegraph Island to view the rich marine life and stunning tropical fish. 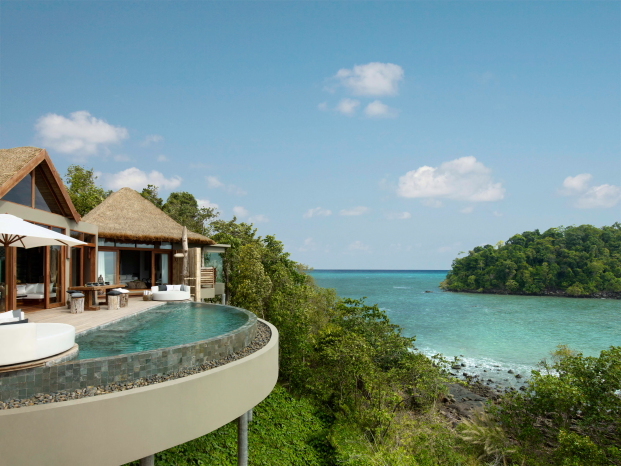 Swim with hammerheads, leopard whale sharks, mink whales, mantas, eagle rays and turtles. With the country’s best dive sites located along the stunning coastline of Kumzar, Mussandam is making waves as a diving destination. According to legend, local women often flocked to a lofty hill to escape pirates when their husbands were away fishing, hence its name Jebel Harim or the Mountain of Women. A half hour 4×4 offroad drive from Khasab deposits you at Khor Najd. The fjord is one of Oman’s many natural gems and offers a mesmerizing view of snaking roads and clear blue waters. 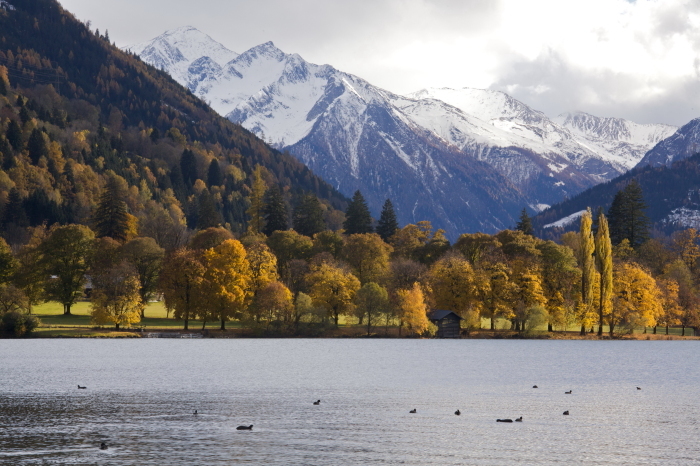 Like an open jaw of jagged brown teeth, the hills form a stunning backdrop! The winding drive towards this 2,087 m high mountain is peppered with isolated cave dwellings of Bedouins who inhabited them till the 1940s. Each humble space had a sleeping area and a rudimentary kitchen. Defying its earlier avatar as a sub-oceanic range that rose up when the Arabian and Eurasian tectonic plates collided, one hardly expects to find ancient rock art and fossils high in the mountain. In the remote settlement of Qida, intriguing human, animal and abstract figures indicate the presence of early man. Many of these petroglyphs (stone carvings) can be found along the wayside. 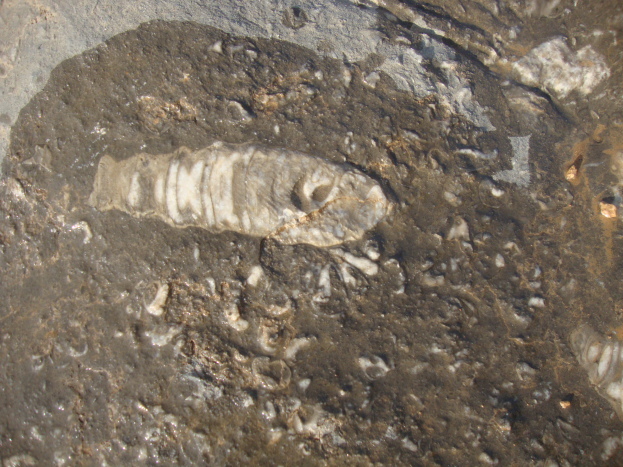 Equally fascinating are fossils of sea creatures frozen on rocks 65 to 800 million years ago! Travel guides sprinkle a little water to accentuate the contrast of hard white skeletal remains in the grey crags. In a region baked relentlessly by the sun, the desert-friendly date palm is the tree of life. Besides Omani hospitality of serving coffee with a platter of dates, according to old traditions, planting a date palm marked the birth of a son! The plant was insurance against any eventuality since its lifespan matched the average age of a person, hence promising life-long nutrition. It is believed that eating 15 dates a day fulfills the nutrient requirements of any adult. Try Khalas, Khasab or Farah from the hundreds of fine varieties of dates and delicious Omani halwa available at every souk and corner. Surrounded by large water bodies, Mussandam is a great perch for several species of aquatic birds. The gilded high ridges are studded with large flocks of nesting cormorants feeding their young in an endless dance of beating wings. A dhow cruise takes you closer to their rocky perches as they dip, dive and emerge to dry their wings along the coast. The Sayh Plateau in the mountains south of Khasab is an excellent winter base for Evermann’s Redstart while Wheateaters, Buntings and Rock thrush visit in spring. While sheeshas and hookahs have enjoyed patronage in urban bars and rural settings, the slim medwak or Arabic smoking pipe is lesser known. A pinch of flaky dokha, an Iranian tobacco-based product mixed with bark, herbs and aromatic leaves is filled into its tiny bowl, lit like a regular pipe and allows no more than 2 puffs and a short heady buzz. If you don’t smoke, the medwak is a fine handcrafted souvenir that can be made of wood, bone, metal, marble, gold, silver, plastic or even glass. Enjoy hamour fry and fresh catch from the sea at the Golden Tulips Hotel, recently rebranded as Resort Atana Khasab. The hotel allows you to catch your own fish and they’ll cook it for you. Enjoy Arabic platters with Zatar bread, hummus, falafel, moutabel (seasoned eggplant with olive oil) and salads perked up with the magical ingredient sumac (lemony spice). Wash it all down with laban (salty buttermilk) or date milk. Authors: Anurag Mallick & Priya Ganapathy. This article appeared on 17 May 2014 of The Hindu. ‘Zilip Kumar, Zhammi Kapoor, Rizhi Kapoor, Dharmendar, Zeenat Aman, Salman Khan’, our driver Waleed Amir rattled off names of Bollywood stars faster than his Landcruiser. A month-long visit to Bangalore in the 1980s had made such an impression on him that he repeated ‘MG Road, Cubbon Park, Mazhestic’ like a password that would unlock the doors of our friendship. And to profess his love for all things Indian he launched into ‘Pardesi pardesi, jana nahi’. It was funny; in Oman drivers had Bollywood videos on their smartphones, Indian restaurants were as popular as Arabian eateries serving curries and ‘khadak chaya’ while barbershops sported images of Shah Rukh Khan! Though the impact of Bollywood is palpable, Indian cinema has only recently taken note of Oman. 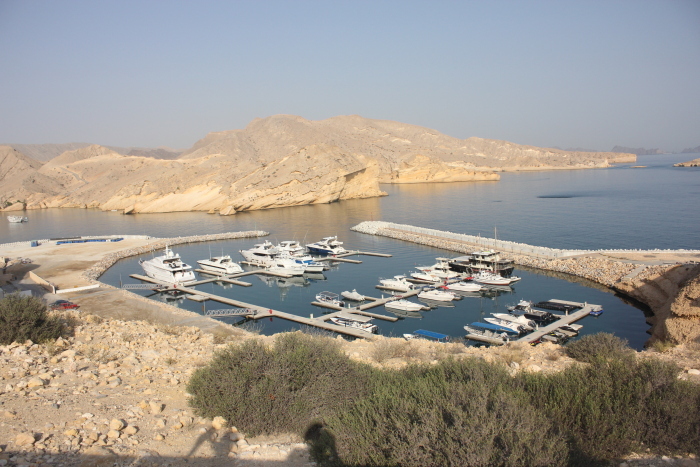 Vikram’s popular song Excuse Me Mr. Kanthaswami was filmed in Oman at Al Sawadi, Sohar beach, Qantab, Yacht Club and Oman Dive Centre. En Idhayam from Surya’s Tamil film Singam was shot at Qantab Beach near Muscat and the old capital of Nizwa. More recently, bits of Once Upon A Time in Mumbai Dobara were shot at Qantab Beach, Qurum Corniche, Muscat’s Central Business District and the luxurious Shangri-La Barr Al Jissah Resort & Spa, a destination by itself. With the last schedule of Aditya Chopra’s Priyanka-Ranveer starrer Gunday slated to be filmed in Oman, curiosity about the Sultanate is on the rise. Oman’s trade links with Indo-China and strategic location at the Strait of Hormuz drew the Portuguese to seize control of the lucrative Indian Ocean trade. After a brief occupation of Oman’s coastal areas, they were finally expelled in 1650 leaving behind a slew of seaside fortifications that were further developed by Omani rulers. Today, Muscat’s troika of forts Jalali, Mirani and Muttrah besides the Muttrah Souq stand testimony to the Portuguese presence in the Gulf. The earliest migrants from India were traders from Gujarat and one name towers above all – the House of Khimjis. Traditionally dhow merchants from the coastal town of Mandvi, they reached Sur by the mid-1800s. In 1870, Ramdas Thackersay set sail from Kutch to Muscat to expand the family business to nearby ports. His son Khimji Ramdas, laid the foundation of one of Oman’s largest business groups that has an annual turnover of $1 billion. Over time they adopted the Omani way and Khimji’s grandson Kanaksi Khimji was conferred the title of Sheikh by the Sultan! Sultan Qaboos bin Said Al Said, schooled in Pune and France, used the country’s oil and gas reserves to usher in a wave of modernization in the 1970s, as the country opened up to trade and tourism. It embraced people from Delhi and Dongri to Kozhikode as Kutchis, Malayalis, Balochis and Bangladeshis stood shoulder to shoulder with Omanis selling wares in souqs and building the nation’s infrastructure. The fact that immigrants make up a third of Oman’s 3 million population, speaks volumes of its inclusiveness. Our guide from the Khimji House of Travel announced ‘I’m Mohammad bin Dawood bin Khamees al Zidjali. That’s my name, my father’s name, my grandfather’s name and the name of my tribe. We have 500 tribes, as many forts and seven hundred types of dates in Oman’, he said with a smile as he took us around Muscat. The Sultan Qaboos Grand Mosque dominated the buzzing capital with sights like Royal Opera House, Bait Al Zubair Museum, Al Alam Palace and Muttrah Corniche. Mosques, shops, hotels, wherever we went, sweet Omani hospitality would present itself with a platter of dates and cups of kahwah, Omani coffee without sugar or milk flavoured with cardamom. Low-lying buildings in earthy tones of sepia and off-white summed up the quiet humility that is Oman’s hallmark. Unsullied by the obsession of some countries to build skyscrapers and hotels that are ‘the world’s tallest or biggest’, in Oman it’s tough to find buildings higher than the minarets of the local mosque! Ostentation was not the Omani way. Raising your voice, honking on streets or even expressions of anguish and exasperation, things that come naturally to people in India, are frowned upon. Music icons like Salim Ali S’aid are at best considered ‘gifted amateurs’. The Omanis can disarm you with their modesty and understated charm. He continued ‘Today if people want to experience traditional Arabian hospitality where do they go? Egypt, Syria, Iraq, Yemen, there’s problem everywhere. Saudi Arabia is orthodox. Dubai is too liberal and cosmopolitan. After a few days, people say, now what? 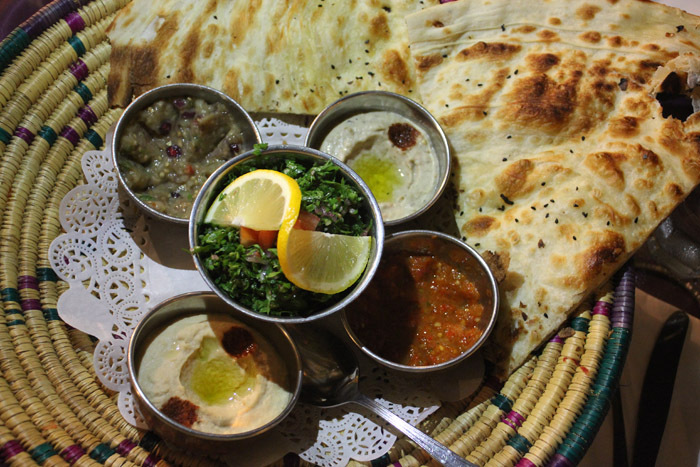 But Oman is a perfect balance of development and tradition, offering great diversity.’ Here, Turkish, Persian, Lebanese and Omani flavours have coalesced into a composite Arabic cuisine, best experienced at restaurants like Al Tarboush or Kargeen Garden Café with flavoured sheeshas (hookah) and mixed grill platters. The 1600 km long coastline, dotted by plush seaside resorts and hotels, is ideal for swimming, kitesurfing, diving and sportfishing. The coastal highway from Muscat weaves past old towns like Qalhat to the dhow-building hub of Sur. Wade in picturesque wadis (fresh water streams) in cool emerald waters or take a dhow cruise in the fjords of Mussandam for snorkeling and dolphin watching. Witness the amazing spectacle of turtle nesting at Ras al Jinz. Go dune bashing, sandboarding and quad biking at Wahiba Sands while staying at the plush Desert Nights Camp. Scale Oman’s highest peak Jebel Shams, described as the Grand Canyon of Oman. Try caving, explore amazing sinkholes or just relax by the white sands of Fins Beach. 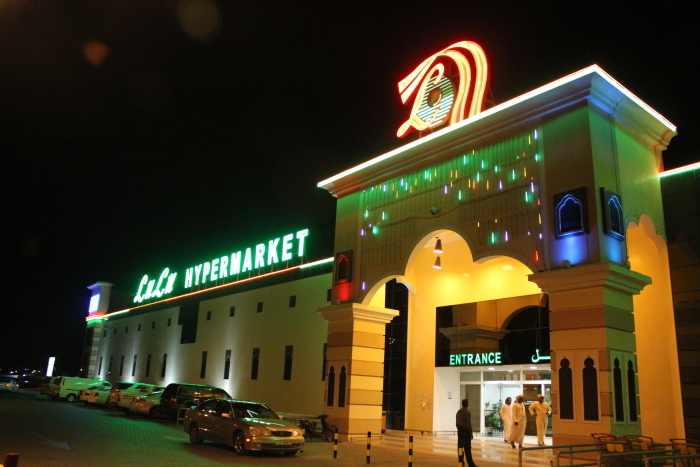 Hypermarkets are lined with boxes of dates and Omani halwa while souqs brim with silver trinkets, Turkish plates, ornate Moroccan lamps and traditional souvenirs like khanjars (ornamental dagger) in silver or leather. Heady smoke emanating from majmars (incense burners) signal stalls selling frankincense. Eager salesmen lure passersby with daubs of perfumes like the ethereal Water of Salalah and Amouage. The warmth of its people is a perfect foil for Oman’s rugged landscape that bears the starkness of Ladakh and the aridity of Rajasthan. If you’re considering a desert trip this winter, try Oman. 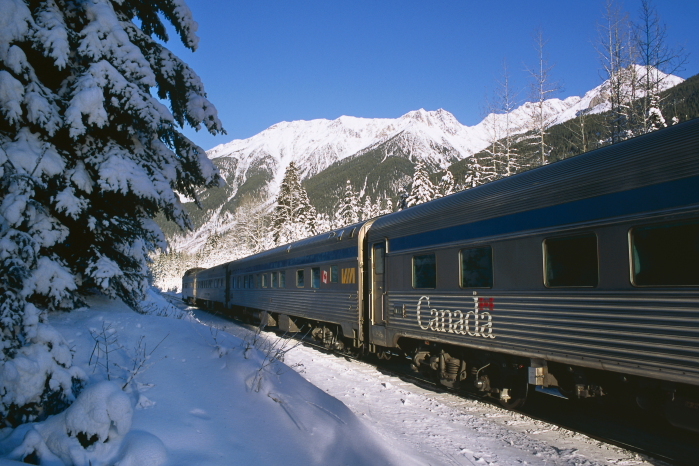 Because travelling has never been easier! A 1-month tourist visa normally costs 20 Omani Rial (Rs.3200), but to draw more travellers, a 10-day tourist visa costing just 5 OMR was introduced. Direct flights to Muscat from Mumbai, Delhi, Bangalore and Kerala offer a quick escape for Indian tourists. With a generous 30 kg limit in Oman Air shoppers are making full use of their baggage allowance! Over 2.21 lakh Indians visited Oman in 2012, indicating a 35.6% hike over the previous year. As we cut across the corniche towards the scenic harbour, a sportscar graciously stopped and the driver smiled, gesturing us to cross the road. It’s easy to see why it is a good Oman! Authors: Anurag Mallick & Priya Ganapathy. This article appeared on 2 February 2014 in Sunday Herald, the weekend supplement of Deccan Herald.